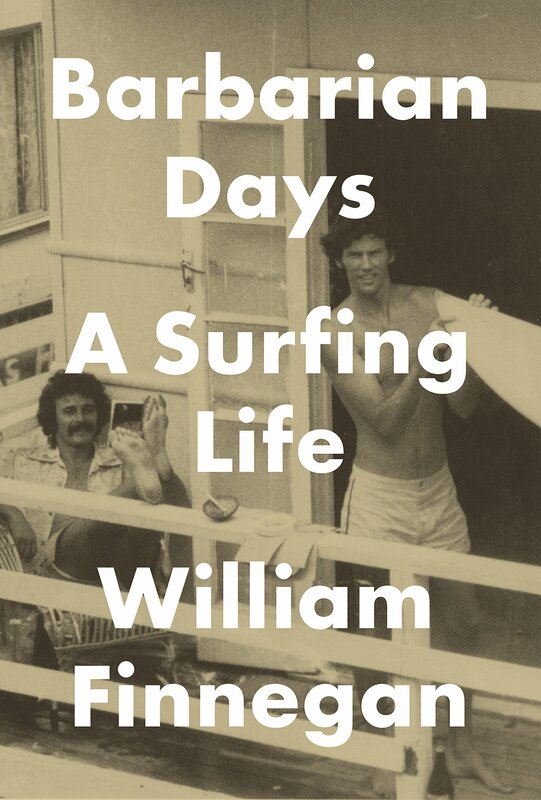 The Pulitzer Prize–winning autobiography about Finnegan's life-long love of surfing. I'd sooner press this book upon on a nonsurfer, in part because nothing I've read so accurately describes the feeling of being stoked or the despair of being held under. But also because while it is a book about A Surfing Life — as the subtitle states — it's also about a writer's life and, even more generally, a quester's life, more carefully observed and precisely rendered than any I've read in a long time. Finnegan’s treatment of surfing never feels like performance. Through the sheer intensity of his descriptive powers and the undeniable ways in which surfing has shaped his life, Barbarian Days is an utterly convincing study in the joy of treating seriously an unserious thing ... Barbarian Days is less an ode to independence than a celebration of deliberate constriction, of making choices that determine what you think about and who you know. Surfing demands intuition and familiarity with one’s surroundings but it does not allow for the perceptive disregard that so often accompanies deep knowledge. As Finnegan demonstrates, surfing, like good writing, is an act of vigilant noticing. ...once it emerges from the ­adolescent-rebellion stage of its development, surfing presents itself as a problematic passion, and it is one of this book’s many great strengths that it unflinchingly addresses the various forms this problem takes as Finnegan grows up, commits to a career as a journalist and has a family ... There are too many breathtaking, original things in Barbarian Days to do more than mention here — observations about surfing that have simply never been made before, or certainly never so well. What did you think of Barbarian Days: A Surfing Life?